$100 deposit required to guarantee your seat in the class of your choice. **In November & December the AM & PM classes run Monday – Thursday for 2 weeks to avoid Holiday conflicts. In Utah and Idaho, we offer 2 different class types: the 32-Hour National Class and the 12-Hour Standard Class. We highly recommend the National Class for the ultimate experience in Phlebotomy; the standard class is meant for individuals who need Pre-Med or Pre-Nursing school hours to add to their applications or for individuals who may have been previously trained and are uncomfortable with the procedure. If you finish the standard class and desire further training, you can always upgrade to the National Class by simply paying the difference of the two course prices. Utah ranks #2 for the highest percentage of adults with either an Associate’s degree or college experience, so training and education are important for employers. 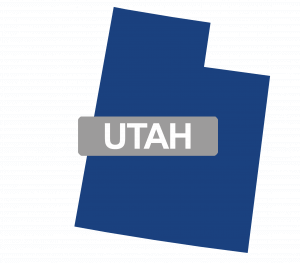 Utah also boasts a fairly low unemployment rate of 3.1% as of August 2018, so getting some job training like phlebotomy is essential to obtaining gainful employment. In the Salt Lake City, Utah area, about 2.1% of total employment belongs to Healthcare Support roles like phlebotomists, according to the Bureau of Labor as of May 2017. Between Indeed.com, getphlebotomyjobs.com, and ihiremedtechs.com, there are currently 494 phlebotomy jobs that need to be filled in the state of Utah. The mean average salary for Phlebotomists in the Salt Lake City, Utah area as of May 2017 was $14.88/hr, compared to a national average of $16.69/hr. However, salary depends on the company hiring, with some places paying $13.97/hr, while there are other companies paying upwards of $22.68/hr. in the Salt Lake City area. Now that the baby boomer generation has flooded the medical system, phlebotomists are in great demand. The career outlook is bright for phlebotomy in Salt Lake City and it’s also a great start for those interested in pursuing further interests in the medical field like nursing.